We provide bespoke, tailored mens grooming packages designed to meet your individual needs, whether you want to recover from a hangover, or just want to totally wind-down, or need to turn on the Cary Grant charm for a night out, or have that career-changing job interview, please talk to us and we will create something specific for you. We know it was almost worth it, although the red hot chilli sauce on the doner kebab was a bad choice – again. 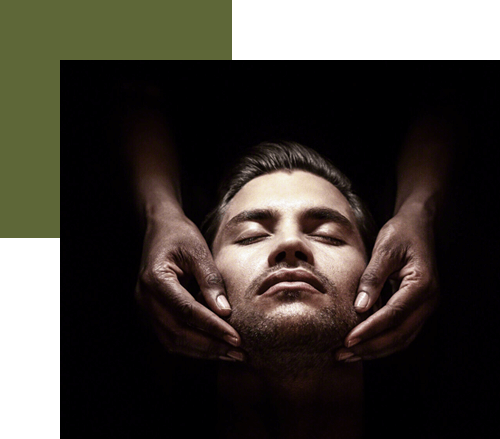 Genco’s Signature Shave – the Shavel (which incorporates a mini facial) followed by a deep tissue neck and shoulder massage. After a hard week of work, or a heavy weekend this package is designed to reach areas that feel sore and tired and leave you ready, rejuvenated and back on form. 1 hour intensive facial, followed by a 1 hour deep-tissue massage. Need to turn on the Cary Grant charm? This package will turn you into Britain’s most sought after catch. We start with an Express Facial, followed by a mini manicure with a hair cut and style to finish. We know how it is. Sometimes we just don’t realise that the ‘shabby chic’ look has passed its sell-by date and it is time for a major overhaul. We start with a proper hair cut, a choice of a facial or a Shavel (our signature shave), a full body massage, followed by a manicure and a pedicure.